So, are we all headed off to France to see Marie Fournier get the rest of that exciting spanking? But today I’m going to take you further east, to begin an intermittent run of posts that will occasionally appear instead of the usual Sunday theater series. Le Médecin Malgré Lui begins with a marital argument between the lazy, drunken woodcutter Sganarelle and his wife Martine, in the course of which he threatens her repeatedly with a beating (‘your skin itches,’ he says at one point), and eventually gives it to her. A passer-by, Robert, comments on this disgraceful behavior, but Martine says she likes to be beaten by her husband, and slaps Robert’s face for sticking his nose in where it wasn’t wanted. Partly this is about not letting a stranger come between husband and wife… but it also establishes that the marriage has an element of role-play about it, and that, like Zerlina in Don Giovanni, Martine accepts blows as a form of marital attention, and therefore welcomes them, however equivocally. And indeed Sganarelle tells her the very same thing: it is a normal part of a loving relationship for a husband to beat his wife, and five or six whacks can add spice to affection. For our purposes, the first important question is, what sort of a beating is this? The stage direction reads, ‘Il prend un bâton, et lui a donne’ (He picks up a stick and ‘gives it to her’). 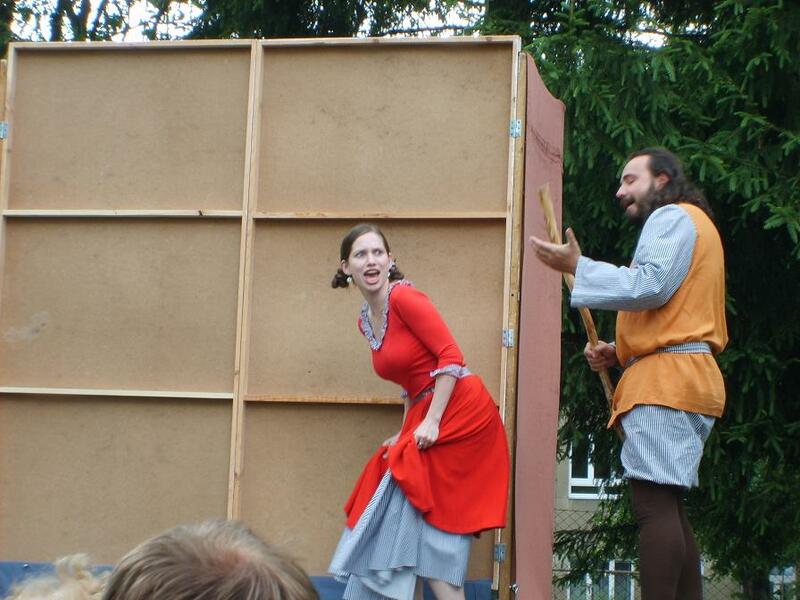 Some translators render the word bâton as ‘cudgel’, and some productions make it a very big cudgel; the scene can be presented as a kind of ‘Punch and Judy’ slapstick beating, or, worse, as serious domestic violence, often aimed at her back or head rather than her bottom. But on the other hand, there are productions that do away with the stick, and the beating has even been done as an Apache dance (in Russia, in 2012). And some productions, of most interest to us, play it as a spanking across his knee, with or without the stick. What’s really at issue is how to strike the right balance in Martine’s mixed feelings: productions that overdo the brutality may amply justify her vindictive reaction that sets the plot in motion, but they also make her rejection of Robert’s intervention harder to understand. Playing it as a spanking may in fact offer the best route through the contradictory complexities of her attitude. Moliere wrote the play in 1666, and he himself played Sganarelle when it opened in August. 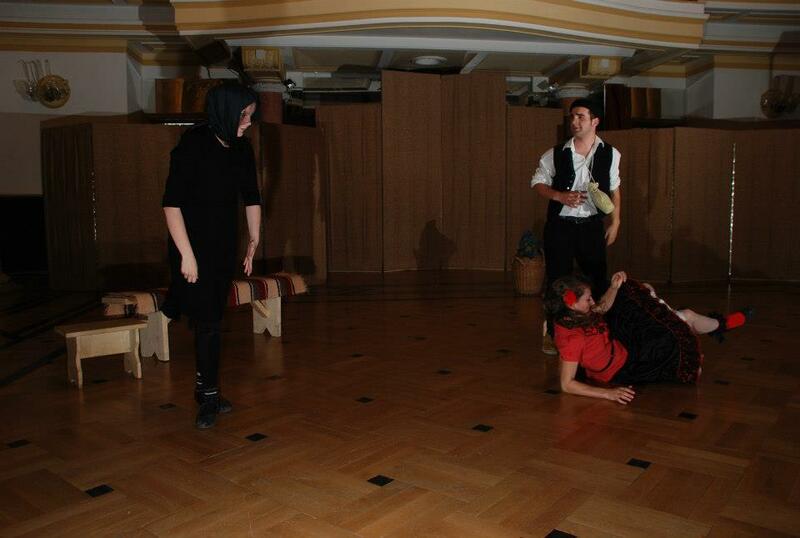 Of course, the play has remained popular in France to this day. But this series is going to follow the play’s many productions in the rest of the world, and the various versions in which Martine gets something closer to a spanking than a beating. This first installment takes us to the lands beyond what used to be the Iron Curtain. Our journey will take us almost round in a circle. 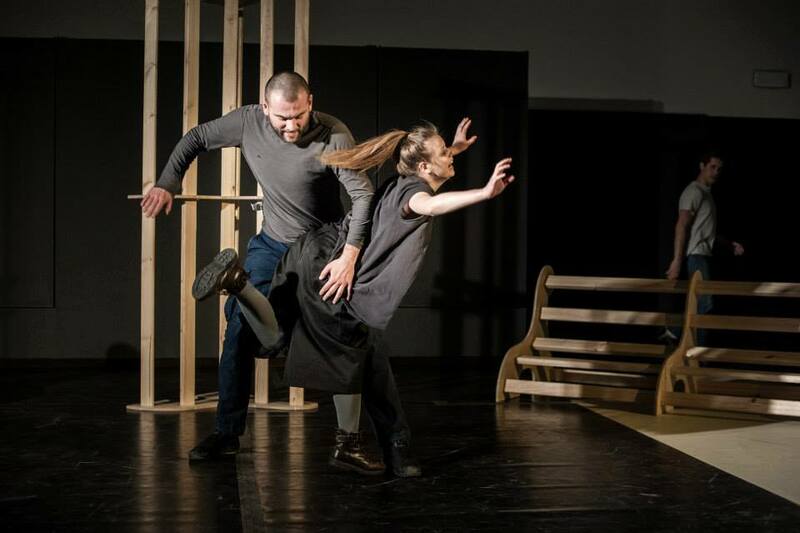 It begins in Romania, where the play is entitled The Unlicensed Doctor (but in Romanian, obviously). What’s amusing about this one is how he moves the chair so that, when she comes around, he’s sitting in her path … she effectively walks herself into a spanking! There’s a little more from Romania here. What’s that no-good husband of hers going to do with that stick? Very careless! But very, very welcome! Yes, the smacks are perhaps imperfectly simulated, and, yes, the OTK positioning is somewhat less than excellent… but a skirt-up spanking on short bloomers is always welcome! You also have to wait longer than usual for the spanking, because (in common with some recent productions) things get a bit frisky at the moment where the spanking happens in Moliere’s original. Jump directly to 7m 30s if you just want to see the spanking, and if you’re taking the longer, more exciting route, be warned that you will encounter a bit of F/M on the way. 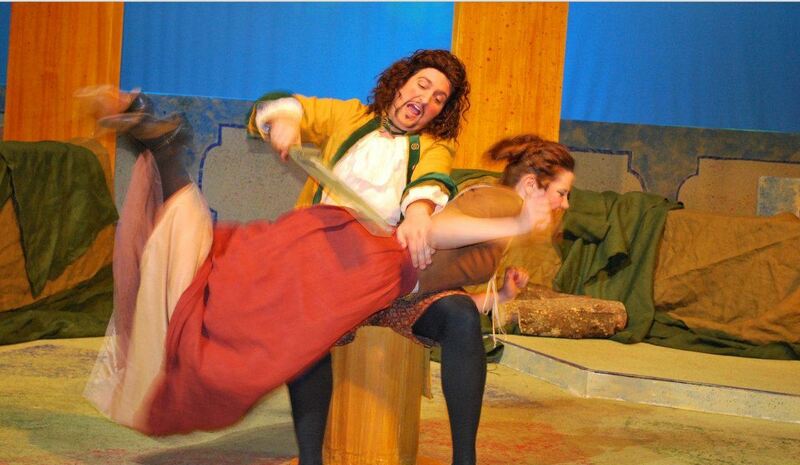 Admittedly we have seen Ukrainian students getting even better spankings on their even prettier undergarments… but that was FEMEN, and this has been Moliere!